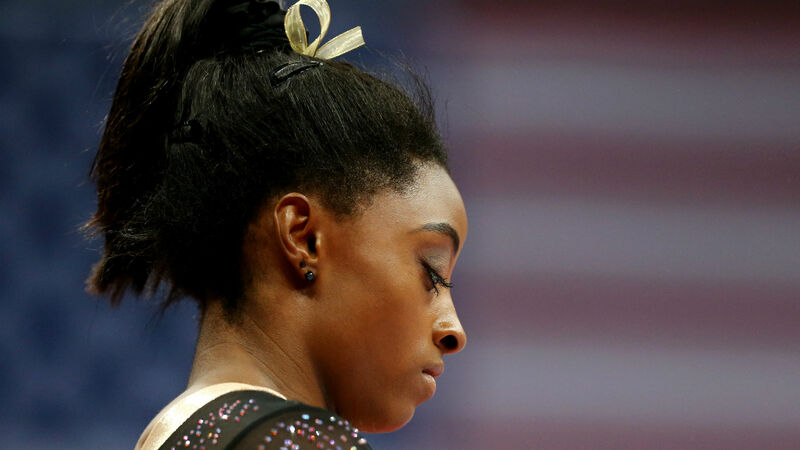 Simone Biles had a “mouth drop” moment Saturday. Biles, the most decorated American gymnast, shared a tweet from USA Gymnastics’ interim CEO along with sharp criticism as Mary Bono, who was appointed to the role Friday, is seen using a marker to try a cover a Nike Swoosh on a pair of golf shoes. Bono’s originally tweet, from Sept. 7, came from a charity golf event. The post comes in the wake of Nike’s choice to feature former 49ers quarterback Colin Kaepernick in ads appearing on TV, online and on billboards around the country. USA Gymnastics has yet to secure an apparel sponsor after Under Armour ended its deal in late 2017. Biles is personally sponsored by Nike.